Eliminates hazardous waste issues and costly container repurchases. 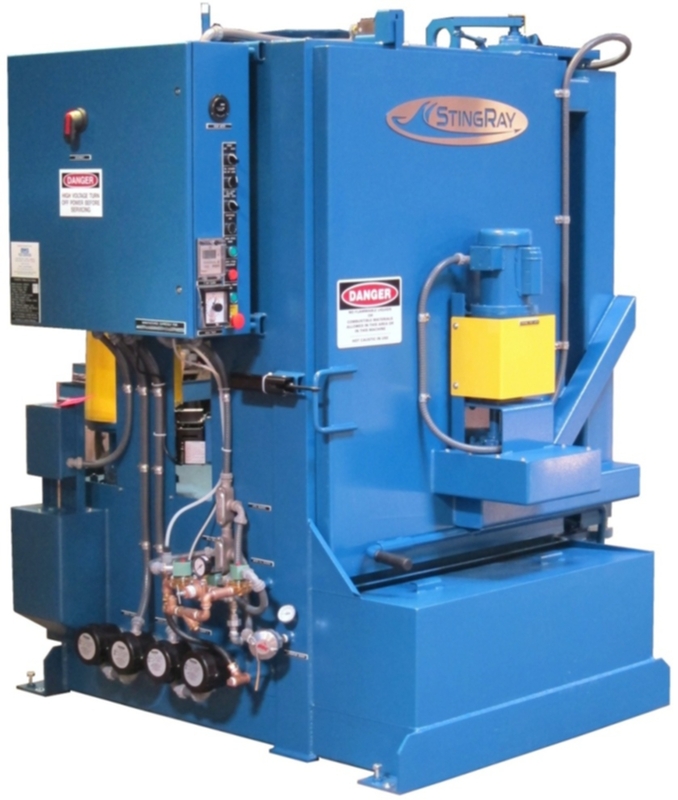 Aqueous washing of ink buckets and ink pails is easily accomplished in the fully enclosed StingRay Ink and Tote Parts Washer. Eliminate manual time-consuming cleaning of ink and dye containers. The StingRay washer uses cleaning detergent, hot water and the power washing system to quickly remove ink from the interior and exterior surfaces of buckets and pails. The superior oscillating spray manifold blasts containers at multiple angles of impact with each rotation of the turntable removing the most difficult residues. 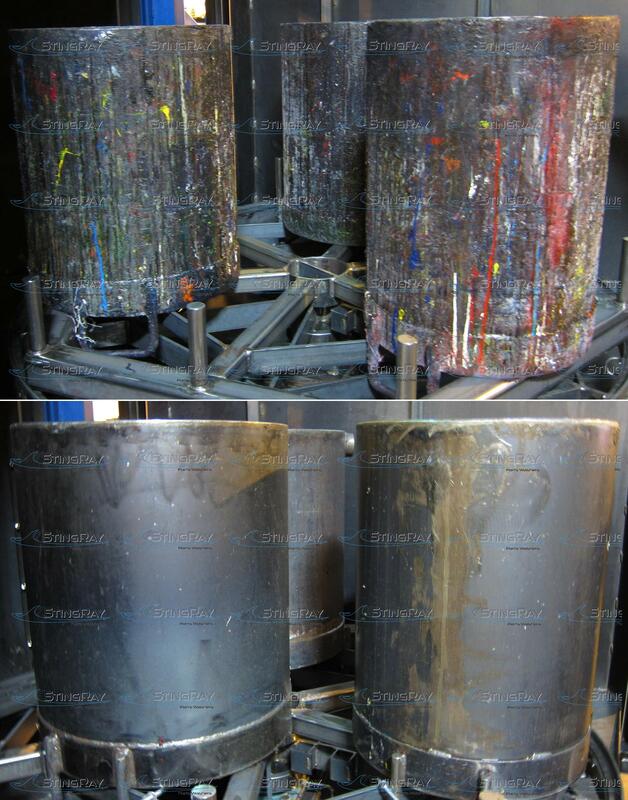 The power wash process and the StingRay high-parts washer power density even removes cured resins and paints from buckets, pails, drums and totes. The lower bias arm removes paint and ink from the inside of the containers. Configurations are available for multiple buckets and various sizes per wash cycle. 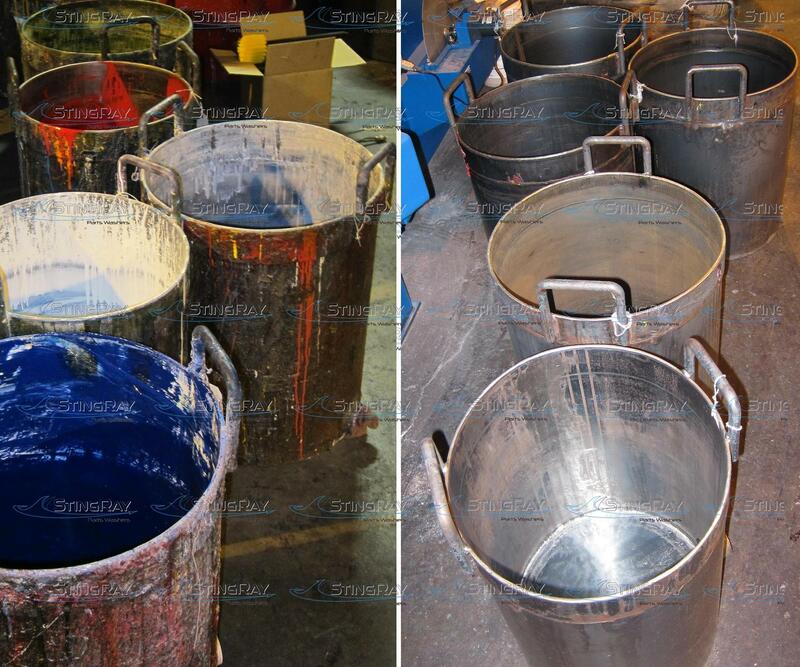 Various fixtures are available for washing different size buckets, barrels and totes coated with ink, dye or paint. 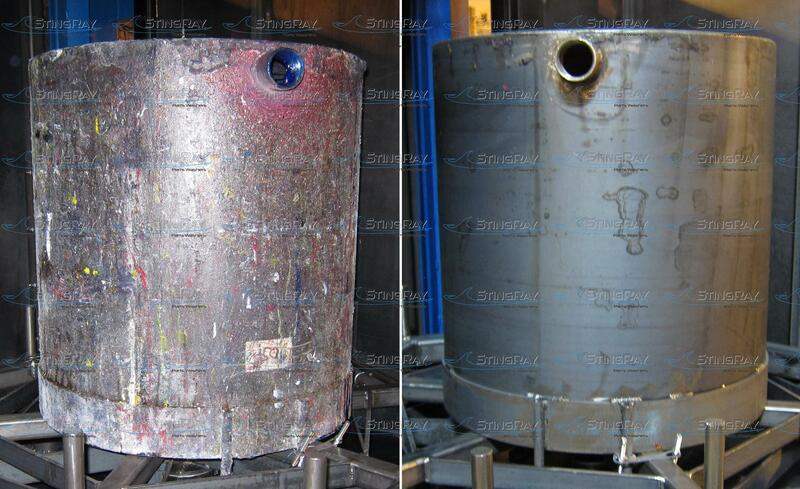 The before and after photographs below show examples of ink and paint removal cleaning results in a StingRay Ink & Tote Washer. Typical ink pail wash cycle 8- 10 minutes. Inside is as clean as outside of the pail. Click image for larger view. 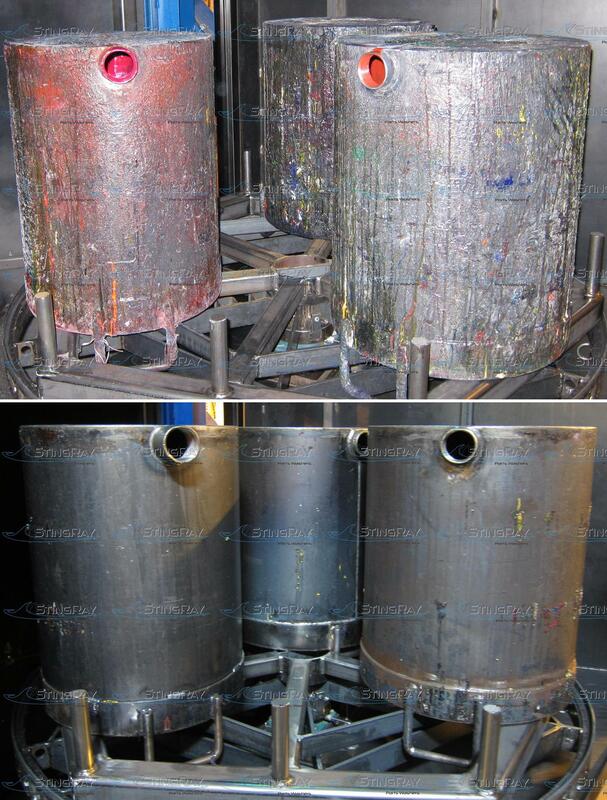 Before washing and after washing ink buckets in a StingRay Ink and Tote Parts Washer Even dried inks and paints are removed from the bucket. Click image for larger view.